We are witnessing an amazing time of yoga evolution here in the West with the increasing focus on not WHAT we do in our yoga practice but HOW we do it as the way to awaken the inner physician in our yoga practice and it couldn’t come at a better time for our Veterans and their families. This deeper, scientific understanding of exactly how yoga can affect our neurological and neurochemical pathways in the body has allowed us to create a powerful yoga therapy program, Yogafit for Warriors, to truly help those suffering from Post-Traumatic Stress Disorder (PTSD)as well as anyone with unresolved physical or emotional traumas. This advancement of understanding of what makes yoga efficacious includes: slower mindful movement to awaken the emotional or limbic center of the mind; ujayi breath focus to stimulate the vagus nerve; and a physical focus on psoas and grounding postures to help release the allostatic load of traumas stored in the body. This combination creates the opportunity for organic healing through yoga therapy and provides a new path forward for those suffering from not only PTSD but mood disorders such as depression and anxiety..
PTSD as the result of being at war for these many years seems to be a particularly toxic form of trauma for our troops. The Department of Veterans Affairs released a report in 2012 showing that since 9/11, nearly 30 percent of the 834,463 Iraq and Afghanistan War veterans (approx 247,243) treated at V.A. hospitals and clinics have been diagnosed with PTSD. This shows the profound impact multiple deployments have had on American service men and women since 9/11. Troops who’ve been deployed multiple times to Iraq and Afghanistan are more than three times as likely as soldiers with no previous deployments to screen positive for PTSD and major depression, according to a 2010 study published by the American Journal for Public Health. Vietnam Veterans are increasingly coming into the VA system as well with experts in the VA estimating that about 30% of Vietnam Veterans also have PTSD. Compounding this enormous problem is the fact that the families of those with PTSD are also suffering and in dire need of help that is often not available for them. The VA system has a backlog that averages about 18 months to be seen by a medical professional and more often than not the result is a bag of prescription pills. We know there is a better way and that is why Yogafit for Warriors was created, to help staunch this gaping chest wound. Of course it is not only the military who suffers as many traumatic events in life can result in PTSD. About 6 of every 10 (or 60%) of men and 5 of every 10 (or 50%) of women experience at least one trauma in their lives. Women are more likely to experience sexual assault and child sexual abuse. Men are more likely to experience accidents, physical assault, combat, disaster, or to witness death or injury. Going through a trauma does not mean you'll get PTSD, though. Even though over half of us go through some type of trauma, a much smaller percent develop PTSD. About 7 or 8 out of every 100 people (or 7-8% of the population) will have PTSD at some point in their lives. 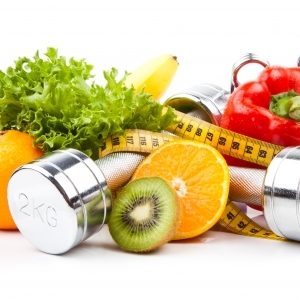 It is with this in mind that YogaFit developed the 100 hour Warrior Program. 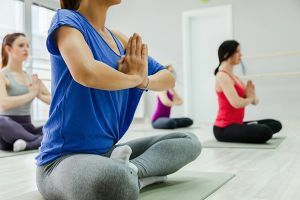 Yoga, meditation and other somatic treatment modalities have been shown to help PTSD and chronic stress better than cognitive therapy alone. This bottoms-up approach to healing, helps release physical and neurologically held tension in the body and teaches practitioners how to tolerate sensations in the body. Additionally, this body-focused approach increases somatic self-awareness, self-efficacy and self-regulation which are strong indicators of mental health. 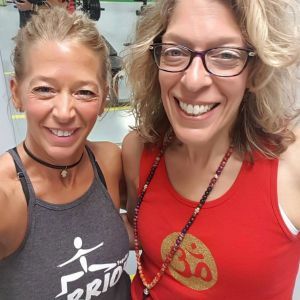 Yogafit’s Warrior Program prepares the yoga teacher to lead trauma sensitive classes with 4 different trainings: YogaFit for Warriors, Healing Emotional and Physical Trauma, Restorative Therapeutics and Mood Balancing. Teachers learn how to create a healing platform for those traumatized by war or other traumatic events as well as chronic stress. Chronic stress and trauma result in physical changes in various structures of the brain resulting in a change of hormone and neurotransmitter secretion which in turn affects the nervous system response. Research has shown that mindful practices such as yoga and meditation are successful at reversing some of the physical effects of chronic stress and trauma that can help reset our nervous system. Yoga has been shown to increase the neurotransmitter GABA, which makes us feel happy, more than other types of exercise. High GABA levels are correlated with a healthy autonomic nervous system. A YogaFit Warrior class is a combination flow style class with restorative therapeutic poses in the last third of the class. It is much slower paced and focused on creating rhythmic movement with breath and designed to help discharge energy as well facilitate the release of deeply held tension. A mindful yoga practice leads to a healthy balanced body and mind. Over time yoga decreases emotional reactivity as we learn to embrace life more fully. 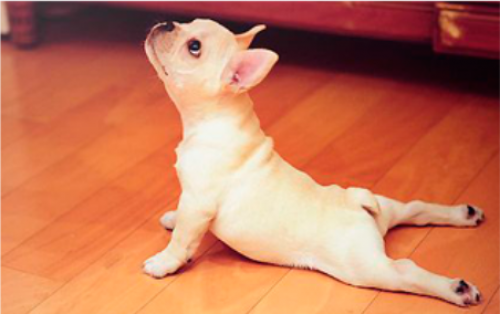 Yoga practice helps us reframe situations so that we find more meaning even from difficulties and challenges. Essentially, yoga helps us to reclaim lost power, which is very important in healing trauma. Yoga teaches us that while we cannot control external events, we can control our reaction. Yoga gives us the tools to activate the innate healer within all of us. We are witnessing an amazing time of yoga evolution here in the West with the increasing focus on not WHAT we do in our yoga practice but HOW we do it as the way to awaken the inner physician in our yoga practice and it couldn’t come at a better time for our Veterans and their families. This deeper, scientific understanding of exactly how yoga can affect our neurological and neurochemical pathways in the body has allowed us to create YogaFit for Warriors to help those suffering from Post-Traumatic Stress Disorder (PTSD). 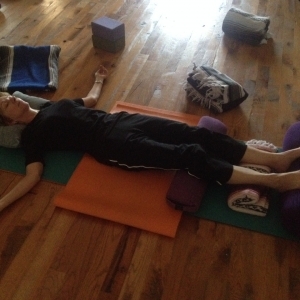 This advancement of understanding of what makes yoga efficacious includes: slower mindful movement to awaken the emotional or limbic center of the mind; ujayi breath focus to stimulate the vagus nerve; and a physical focus on psoas and grounding postures to help release the allostatic load of traumas stored in the body. This combination creates the opportunity to not just tolerate the symptoms of PSTD but truly offer a healing path forward for our Veterans. 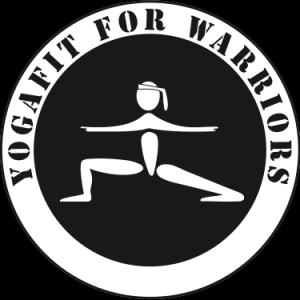 For more information on YogaFit's 100 Hour YogaFit For Warriors program, click here.